About a month ago, just after moving across the country, I took a trip to a certain Swedish furniture store to get some essentials for my apartment. I went in with a list of what I wanted, thinking I’d cruise through and get on with my day. No such luck. What was supposed to be a 2 ½-hour trip turned into a 6-hour disaster. Things the store said were in stock weren’t there, or there would only be half of the parts I needed, most notably when they had several top halves of a chair but none of the rest of it. Signs in the self-service section pointed to the wrong items and I could only find what I was looking for by wandering the aisles, occasionally settling with the wrong color or size. The staff at this particular branch was incredibly unhelpful, shrugging and wandering off when I asked a question. I spent well over two hours in line to get home delivery because there were only 3 people working that section at the busiest point of the week, and 2 of them were very obviously just clocking hours. I’m not telling this story to complain, though it was frustrating. I got my furniture and am sleeping quite comfortably on a brand new bed so it all worked out. I’m telling this story because it made me realize there is a right and a wrong way to do a job. I believe that no matter what you are doing, whether you enjoy it or hate your boss, you should at least take pride in your work and be able to say you are good at what you do. Even when things go wrong or the unexpected happens, you should, at the least, be willing to try and fix it. I admit I am no pro either. I am a planner. I tend to stick to a routine, plan my day out the night before, and schedule hangout time with friends a week in advance. I try my best to prepare for the unexpected, but I hate it when things go wrong. Sometimes I fear that when I do something wrong it makes people think less of me. 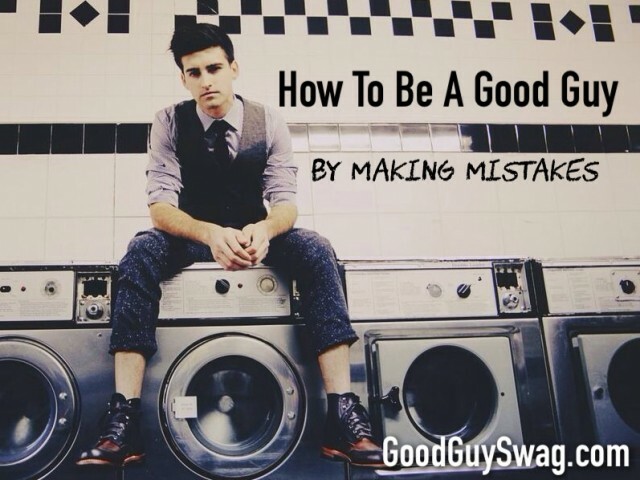 How to be a good guy by making mistakes. When I first started my last job, there was a steep learning curve. Once, after drilling a hole in the wrong place by accident, I worried that I might be fired on the spot or be permanently relegated to the category of shop screw-up. It was an important piece, too. It took a lot to admit that I had messed up. What I didn’t realize as I was apologizing profusely to my supervisor and co-workers was that it was also a cheap, easily replaceable part, or that every single person there had made the exact same mistake before. They were more worried about me being stressed than that it had happened. 1. He believes it is possible to be perfect. News flash: it’s not. Maybe, with a lot of work, you can be really, really good at things, but you will never be perfect. Eventually, something will go wrong, though it may not even be your fault. That’s a guarantee. Just be prepared for it to happen and deal with it when it does. One of my good friends is a multi-talented college pastor who is more diligent about trying to be his best than many people I know. Once he told me that whenever he does something, whether it’s new or normal, he always expects at least three things to go wrong. That’s a great attitude to have – that way, if he gets off with only one mistake, he can count it as a success. 2. No one will like them as they are. 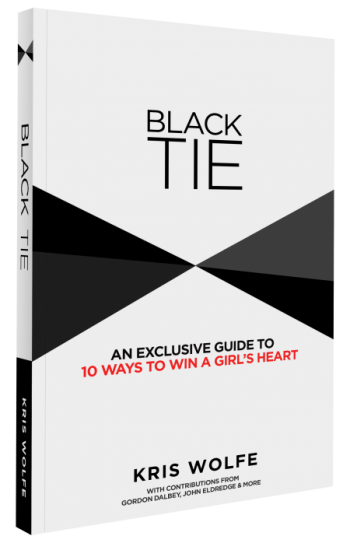 Nice Guys have a deep fear that they are not worthy of love or friendship and that they need to work to earn it. This leads to a non-stop effort to be flawless and cover up anything that isn’t just right. That has to be exhausting. Glover calls them “teflon men” because nothing sticks to them, including relationships. This is actually easy to debunk. No doubt you’ve met someone who seemed just perfect. Maybe you guys got along well, but would you say you’re close? Probably not. Think of feuding catty high school girls: “Oh, she just thinks she’s so perfect!” Perfect-seeming people may inspire, but they can also cause resentment from everyone else who can’t reach that level. They can’t relate. This is the same reason our culture loves watching celebrities fail. It proves they were never as good as they appeared. Meaningful relationships only work when you can share your problems with someone you think will understand. You need to be OK with being a little rough around the edges. Otherwise there is nothing for anyone else to get a grip on. One important clarification: this is not the same as a general fear of failure. That is far more widespread and innocuous. Mountains of text and motivational posters have been printed on that subject already. The fear we are talking about avoiding here is that people will think less of you as a person if (when) you trip up. There is a big difference between “I’m afraid to try because it might not work,” and “I’m afraid if I mess up no one will ever love me.” Both are problems, it’s just that one is worse because it goes to the core of your identity. So don’t give in to the lies. As long as you are at least trying, people will still like you, even when you are less than perfect. Expect the unexpected, and remember that when things go wrong, you will be all right. You can handle it. Even better, you should go out of your way to learn from your mistakes, because you can always get something from them. Remember Thomas Edison. A friend visited him while he was struggling to make a functional lightbulb, saw all of his unsuccessful attempts laid out on a workbench, and asked him, “Isn’t it a shame that with the tremendous amount of work you have done you haven’t been able to get any results?” Edison turned to him, smiled, and replied, “Results! Why, man, I have gotten a lot of results! 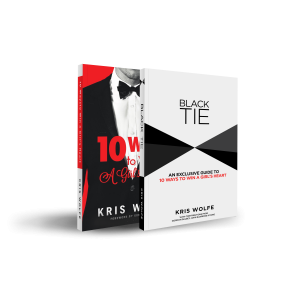 I know several thousand things that won’t work.” And, as we all know, he eventually succeeded, providing a way for bloggers like me to stay up well past their bedtimes to write something you will find useful. Don’t be afraid to let your flaws show and learn from your mistakes. I promise people will still like you.